Managing medications is important for anyone who relies on medication to control physical or mental conditions. Medication errors such as improper dosage and missed doses can cause side effects that can sometimes lead to chronic conditions. Not receiving the proper dosage can also reduce the effectiveness of the control that the medication has over the condition. These errors can lead to unnecessary hospitalizations and costs, and may cause health to decline. According to the Department of Health and Human Services, approximately 200,000 elderly adults are hospitalized every year in the United States due to medication errors. 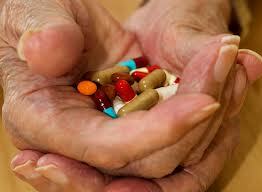 Seniors may have trouble managing medications due to conditions that affect the memory or cognitive functions. Seniors may also have trouble taking medications due to physical conditions such as arthritis that make it tough to pick up the small pills or open the medication containers. In some cases, seniors may not be able to find transportation to pharmacies or medical facilities to pick up medications, resulting in missed doses. Seniors may also have a hard time reading medication labels due to vision complications, which may result in taking the wrong medication or improper dosage. Seniors may be embarrassed about the inability the properly manage medications or may not be aware of mistakes that have been made. It is important for family members and caregivers to be aware of common red flags that may indicate medication errors. If medication errors are not identified, the issues may continue and worsen. In severe cases, complications may become life threatening. 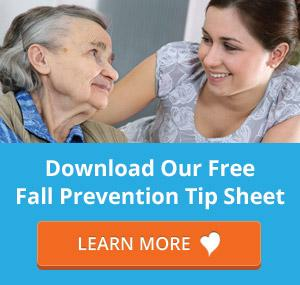 Having a caregiver assist with medication management can help to prevent many medication errors. Caregivers can review all instructions given by physicians to understand the timing and dosage for all prescribed medications. Caregivers can then help set up systems and reminders to ensure that medications are given on time and in the proper dosage.